This website is a sincere effort to rekindle an old flame. This flame is referred to as sunrise in your posture.
" 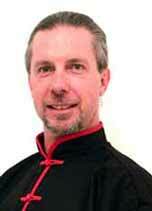 My introduction into spinal adjustments started when I was sixteen as a student of Shotokan Karate. During this time I became an apprentice to a Chiropractic doctor who guided me in how to align the spine both for myself and others. Travelling out of Australia for the first time I began advanced training in deep bodywork called Rebalancing. Eventually coming into contact with Japanese Karate instructors who taught me traditional barefoot Shiatsu and introduced to me sitting meditation. At one point it was time to learn all about opening the breathing through touch and guidance and training came from a prominent psychologist. I have trained in bio-energetics and Neo-Reichian Gestalt deep bodywork as well as psychic massage. Having lived and worked for three years with a Sydney based psychic surgeon my ability to function in the psychic realm was secured, producing bio-electrical grounding. Training extensively with Chinese doctors from Shanghai in ChiGong I was guided in directing the Chi. In India while learning to deepen my meditation my apprenticeship began in Osho Tibetan Pulsing Healing. Nirvata Spinal ChiGong is the flowering of my life's effort to discover or uncover that which works, it is the marriage between my spinal adjustments and Osho Tibetan Pulsing Healing."